Draft: 2011, Detroit Tigers, 10th rd. Last name is pronounced cuh-SAL-ee..on 7/27 and 7/28, 2015 for TB vs Det became the first rookie catcher in Major League history to hit at least 2 HR in consecutive apps (off David Price 2, Aníbal Sánchez, Bruce Rondón)...in 2013 was a mid-season Florida State League All-Star and the Rays' Minor League Player of the Month for August...on 8/24/13 for Montgomery caught all 9 innings of RHP Victor Mateo's no-hitter...in 2012 was a MiLB.com Tigers Organization All-Star...in his Major League career has thrown out 31-109 base runners attempting to steal (28%). Graduated from New Canaan (CT) High School, where he played football, basketball and baseball...as a quarterback was All-State in football after leading his team to the state championship...was a high school teammate of NHL player and U.S. Olympian Max Pacioretty...hit .300 in all 4 seasons at Vanderbilt University, where he was a college teammate of Sonny Gray and Pedro Álvarez...was hosted on his campus visit by Álvarez and David Price...graduated from Vanderbilt with a degree in corporate communications...played for the 2010 Cape Cod League champion Cotuit Kettleers, where he was teammates with James McCann and C.J. Cron...his father, Lou, played quarterback at Columbia University in 1979 and 1980...one of his first youth baseball coaches was sports columnist and author Mike Lupica...follow on Twitter @Curtcasali. On 5/31 was acquired from the Rays for cash considerations...the next day was promoted to the 25-man roster to replace C Tony Cruz, who was optioned to Louisville...spent the rest of the season with the Reds...the Reds went 16-16 in his starts behind the plate and posted a 3.52 ERA while he caught (297ip)...threw out 5-24 base runners attempting to steal (21%)...started 2 of the staff's 6 team shutouts...in addition to his 32 starts at C, made his first career apps at 1B (6g, 3gs) and at 2B (1g on 7/20 vs Pit)...on 6/2 at SD started in his first Major League game of the season...in the second inning homered off Eric Lauer to become the first player to homer in his first Reds plate appearance since Adam Duvall on 8/31/15 at Cubs (off Justin Grimm)...in the ninth inning of the 12-1 loss on 7/20 vs Pit made his first career apps at defensive positions other than catcher...began the inning at 1B, then moved to 2B following Alex Blandino's season-ending knee injury...became the second Major League player in 2018 to make his first career apps at 2 different positions in the same game...Det's Ronny Rodriguez, in his Major League debut, played 2B & 3B on 5/31 vs LAA and then on 7/10 at TB played 1B & SS...on 1/18 was signed by the Rangers to a minor league contract...on 3/21 was released...on 3/22 was signed by the Rays to a minor league contract...prior to his 5/31 trade to the Reds spent the season at Class AAA Durham...following the season was eligible for arbitration as a Super 2...on 1/10/19 avoided arbitration by signing a 1-year contract for 2019. Played 9 games with the Rays last season, but spent the balance of the campaign with Durham (AAA)…was a September call-up for Tampa Bay (recalled 9/1), going 3-for-9 with a HR, 3 RBI, and 3 BB in his 9 G…had 8 G/2 GS behind the plate, throwing out one of 3 attempted base stealers…one of his starts was season finale on 10/1 vs. BAL, when he hit his lone HR off Kevin Gausman…spent balance of season at Triple-A, batting .263 with 5 HR and 48 RBI in 85 contests… team-high 53 G at catcher, also 32 G as DH…had .280 (54- 193) figure in 1st 53 G through end of June, then had .234 (25-107) mark in final 32 G in International League…batted .298 (42-141) with .809 OPS in home games…hit .388 (26-67) with RISP, including 7-for-11 with bases loaded…season-high 6 RBI on 7/19 vs. Indianapolis. Made his first career Opening Day roster and spent most of the year in the majors, except for a four-week stint with Triple-A Durham in August…played in 84 games with 68 starts (62-C, 6-DH). Led the team with 62 starts at catcher…started 50 of 88 games prior to the All-Star break, but only 12 of 74 in the second half. Threw out 30.6 pct. (11 of 36) of attempted base stealers, the best rate on the team and up from 24.0 pct. in 2015…the MLB average was 24.4 in 2016. His .186 avg. was the 2nd lowest among major league catchers (min. 75 games), pct. 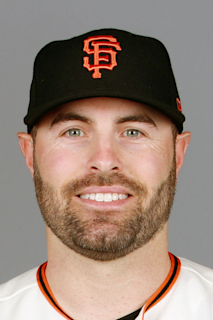 points better than SD Derek Norris (.186)…hit only .137 (7-for-51) with RISP. His first homer came April 21 at BOS off David Price…is 7-for-14 with 3 HR and 5 RBI lifetime vs. the fellow Vanderbilt alum-the only pitcher against whom he's hit multiple home runs…his last homer came Sep 27 at CWS off Chris Sale. On April 25 vs. BAL, drove in both Rays runs in a 2-0 victory. On April 30 vs. TOR, delivered his first career walk-off hit, a 9th-inning RBI single off Brett Cecil for a 4-3 victory. Homered in consecutive games May 3-4 vs. LAD, second time in his career doing that…also did it in back-to-back multi-homer games on July 27-28, 2015 vs. DET. Had a career-high 3 BB on July 17 vs. BAL which tied the franchise record for a catcher (6th time, last José Lobatón on Sep 2, 2013 at LAA). Rookie backstop enjoyed a breakout season and took over the starting catcher role for a month-long period before suffering a left hamstring strain on a home run trot Aug 25 vs. MIN, sidelining him for the last 37 games...it was his second consecutive season to end in injury...played in 38 games, 33 starts (32-C, 1-DH). Believed to be the first major leaguer since Luke Scott with the Orioles in 2010 to be injured on a home run trot...Scott also suffered a pulled hamstring. Became just the fourth catcher in Rays history to hit at least 10 HR in a season and only the second in the last 12 seasons, joining Kelly Shoppach (11 in 2011)...hit his 10th home run in his 68th career game...only 13 AL catchers all-time reached 10 homers as fast. From the time of his June 13 call up from Triple-A Durham until his injury (Aug 25), led the Rays with 10 HR...ranked 3rd among major league catchers in homers during this span, behind ARI Welington Castillo (14) and NYY Brian McCann (13)...despite missing the last 37 games, his 9 HR after the All-Star break tied for 4th most among major league catchers...since 2000, only three other rookie catchers hit as many homers after the break: TOR J.P. Arencibia (11 in 2011), SF Buster Posey (11 in 2010) and KC John Buck (12 in 2004). Slugged 10 HR in 101 AB, after 0 HR in 72 AB in 2014...among players with at least 100 AB, his 10.1 AB/HR ranked 1st in the majors ahead of MIA Giancarlo Stanton (10.3) and was the best ratio of any AL player since CWS Frank Thomas in 2005 (8.8, 12-HR, 105-AB)...it was the best ratio ever by a catcher (min. 100 AB), ahead of ATL Javy Lopez in 2003 (10.6, 43-HR, 457-AB).Two-thirds of his hits went for extra bases (24-H, 6-2B, 10-HR). Hit 2 HR in back-to-back games July 27-28 vs. DET...according to the Elias Sports Bureau, became the first rookie catcher in major league history with multiple homers in back-to-back team games...was the first catcher to do it since TEX Mike Napoli (Sep 27-28, 2011 at LAA)...joined Greg Vaughn (May 18-19, 2002 at BAL) as the only Rays to do it. According to the Elias Sports Bureau, became the fourth player to homer twice in back-to-back games within the first 50 games of his career, and first since his former Vanderbilt teammate PIT Pedro Alvarez (July 20-21, 2010 vs. MIL)...the others were BOS George Scott (May 4-6, 1966 at DET/MIN) and CWS Zeke Bonura (May 19-20, 1934 vs. PHA/BOS). Prior to his back-to-back 2-HR games, only four times in Rays history had a Rays catcher hit 2 HR in a game-and never by a rookie catcher.His second homer on July 27 vs. DET is believed to be just the second ball to deflect off the B-ring catwalk for a home run, joining CWS Frank Thomas, who did it in the fifth game ever played at Tropicana Field, April 4, 1998...Thomas' blast later prompted a change in the ground rules. Both his homers on July 28 vs. DET were off fellow Vandy alumnus David Price, making him just the sixth player with a multi-HR game off Price...he joined LAA Albert Pujols, NYY Mark Teixeira (Sep 28, 2011-"Game 162"), BAL Mark Reynolds, TOR Jose Bautista and BOS Victor Martinez. In addition, recorded 3 hits in each of his 2-HR games, the first rookie with at least 2 HR and 3 hits in consecutive games since OAK Troy Neel in July 8-9, 1993 vs. BOS. His 4 HR in that series tied the club record for a 3-game series, joining Carlos Peña (June 8-10, 2010 vs. TOR), Greg Vaughn (May 17-19, 2002 at BAL) and Fred McGriff (May 4-6, 1999 vs. KC)…His 6 HR in July were the most by a Rays catcher in a single month, passing John Flaherty (5, May 1999)...J.P. Arencibia tied that record with 6 HR in September...he was the first rookie catcher with 6 HR in July since SF Buster Posey in 2010 (7)...tied HOU Preston Tucker for the most HR among major league rookies in July, and tied Jonny Gomes' team mark (2005) for most by a Rays rookie in July…On June 17 at WAS, hit his first career homer off Jordan Zimmermann, recorded 3 hits and reached base 4 times-all while catching a 2-hit shutout in a 5-0 win...became the first Ray to reach 4 times while catching a shutout since Michel Hernandez on April 30, 2009 vs. BOS-a 13-0 win and combined 1-hitter by Matt Garza and Grant Balfour…On July 18 at TOR, hit a game-winning, 8th-inning solo homer off Ryan Tepera, making him the first rookie catcher in club history with a go-ahead homer in the 8th inning or later…Threw out 6 of 25 (24.0 pct.) attempted base stealers...yielded 4 SB on June 24 vs. TOR, then threw out 6 of 21 (28.6 pct.) after that. Made his major league debut and appeared in 30 games, making 22 starts at catcher...selected to the major league roster on July 18, as Ryan Hanigan was placed on the DL with a left oblique strain...after his call-up, shared time with Jose Molina, starting 17 of the team's 34 games until he was optioned for Hanigan's return Aug 26...recalled Sep 1 when rosters expanded...Six of his 22 starts were shutouts...his catcher's ERA of 2.52 (207.1 innings, 52-ER) was the best of any major league backstop who appeared in at least 20 games, as well as lowest in Rays history...Alex Cobb pitched to a 1.09 ERA (41.1-IP, 5-ER) in 6 starts paired with Casali, compared to 3.46 (125-IP, 48-ER) with other catchers...Made his major league debut July 18 at MIN...in his first plate app singled off Kyle Gibson and scored...became the 19th player in Rays history to hit safely in his first major league PA, and first since Tim Beckham in 2013...On Aug 8 at CHC, notched his first career pick-off (Ryan Sweeney at 2B in the 4th) and became the first Rays rookie catcher with a CS and pickoff in the same game...Barely missed his first career homer on Aug 13 at TEX when his liner bounced on top of the 14-foot LF wall and back to the field for a double...the call was confirmed via Crew Chief review...Sustained a season-ending concussion Sep 24 at BOS after being struck in the mask twice by foul balls off the bat of Rusney Castillo in the 4th inning...Began the season with Double-A Montgomery, and earned an early-May promotion to Triple-A Durham...at the time of his July 18 call-up, was less than a year removed from playing for Class-A Charlotte. Split his first season in the Rays organization between Class-A Charlotte and Double-A Montgomery…named a Florida State League midseason All-Star…after his July promotion, hit .383 (46-for-120) with 5 home runs, 31 RBI, 21 walks and just 18 strikeouts…named Rays Minor League Player of the Month for August after batting .396 (38-for-96) with 5 home runs, 26 RBI, 16 walks and 10 doubles…caught all 9 innings of RH Victor Mateo's no-hitter for Montgomery on Aug 24… limited to 1 game with the Salt River Rafters of the Arizona Fall League due to injury. Combined to hit .320 (172x537) with 32 doubles, four triples, 10 home runs and 57 RBI in 134 games with Single ALakeland and Double A Erie during the 2012 season -- third among all minor league players with 172 hits. ... Earned a spot on the U.S. Team for the Futures Game held at Kansas City's Kauffman Stadium prior to Major LeagueBaseball's All-Star Game -- selected the Most Valuable Player following the game after collecting three hits, includinga home run, and three RBI. ... Tabbed the best batting prospect in the Eastern League and Florida State League by Baseball America. ... Assigned to Lakeland to begin the season -- hit safely in each of his first 10 games of the season April 5-15, batting.410 (16x39) with three doubles, a home run and seven RBI. ... Collected a season-high four hits on April 27 versus Dunedin -- matched the high with four hits on May 22 at BrevardCounty...collected four hits with Erie on July 29 versus Richmond to equal the season best. ... Compiled an 18-game hitting streak April 29-May 17, batting .431 (31x72) with four doubles, two triples, a home runand 12 RBI. ... Tabbed the Florida State League Player of the Week for April 30-May 6 after hitting .464 (13x28) with two doubles, ahome run and seven RBI in seven games during the week ... Garnered TOPPS Florida State League Player of the Month and Tigers Minor League Player of the Month honors forMay after batting .418 (46x110) with eight doubles, a triple, two home runs and 16 RBI in 29 games during the month. ... Had his contract transferred from Lakeland to Erie for the remainder of the season on June 5. ... Posted a 13-game hitting streak June 27-July 13, batting .345 (19x55). ... Named the top prospect and best hitter for average and rated as posessing the best strike-zone discipline in the Tigersorganization, the fourth-best prospect in the Eastern League and fifth-best prospect in the Florida State Leaguefollowing the season by Baseball America. ... Saw action in 24 games with Mesa in the Arizona Fall League, batting .242 (24x99) with six doubles, a triple and 11RBI -- named the eighth-best prospect in the league by Baseball America. Made his professional debut with Single A Connecticut after being selected by the Tigers in the 10th round of the June2011 draft...Collected a season-high three hits on July 15 at Mahoning Valley and July 17 at Hudson Valley...Had his contract transferred from Connecticut to Single A West Michigan for the remainder of the season on July 21. Made his professional debut with the Gulf Coast League Tigers after being selected by Detroit in the first round (44thoverall pick) in the June 2010 draft. ... Tabbed the third-best pure hitter in the draft by Baseball America. ... Named the second-best prospect, best hitter for average and best power hitter and rated as possessing the best infieldarm in the Tigers organization following the season by Baseball America. June 1, 2018 Cincinnati Reds selected the contract of C Curt Casali from Louisville Bats. May 31, 2018 Tampa Bay Rays traded C Curt Casali to Cincinnati Reds for cash. May 31, 2018 C Curt Casali assigned to Louisville Bats. April 2, 2018 C Curt Casali assigned to Durham Bulls. March 22, 2018 Tampa Bay Rays signed free agent C Curt Casali to a minor league contract and invited him to spring training. March 21, 2018 C Curt Casali roster status changed by Texas Rangers. January 29, 2018 C Curt Casali assigned to Round Rock Express. January 18, 2018 Texas Rangers signed free agent C Curt Casali to a minor league contract and invited him to spring training. November 6, 2017 C Curt Casali elected free agency. November 6, 2017 Tampa Bay Rays sent C Curt Casali outright to Durham Bulls. September 1, 2017 Tampa Bay Rays recalled C Curt Casali from Durham Bulls. March 29, 2017 Tampa Bay Rays optioned C Curt Casali to Durham Bulls. September 1, 2016 Tampa Bay Rays recalled Curt Casali from Durham Bulls. August 4, 2016 Tampa Bay Rays optioned C Curt Casali to Durham Bulls. October 5, 2015 Curt Casali roster status changed by Tampa Bay Rays. June 13, 2015 Tampa Bay Rays recalled C Curt Casali from Durham Bulls. April 3, 2015 Tampa Bay Rays optioned C Curt Casali to Durham Bulls. September 1, 2014 Tampa Bay Rays recalled C Curt Casali from Charlotte Stone Crabs. August 26, 2014 Tampa Bay Rays optioned C Curt Casali to Charlotte Stone Crabs. July 18, 2014 Tampa Bay Rays selected the contract of Curt Casali from Durham Bulls. May 5, 2014 C Curt Casali assigned to Durham Bulls from Montgomery Biscuits. February 3, 2014 Tampa Bay Rays invited non-roster C Curt Casali to spring training. July 24, 2013 C Curt Casali assigned to Montgomery Biscuits from Charlotte Stone Crabs. March 25, 2013 Detroit Tigers traded C Curt Casali to Tampa Bay Rays. March 25, 2013 Curt Casali assigned to Charlotte Stone Crabs. March 25, 2013 C Curt Casali roster status changed by Lakeland Flying Tigers. January 16, 2013 Detroit Tigers invited non-roster C Curt Casali to spring training. September 4, 2012 Lakeland Flying Tigers activated C Curt Casali from the 7-day disabled list. August 25, 2012 Lakeland Flying Tigers placed C Curt Casali on the 7-day disabled list. June 22, 2012 C Curt Casali assigned to Lakeland Flying Tigers from West Michigan Whitecaps. January 10, 2012 Detroit Tigers invited non-roster C Curt Casali to spring training. July 21, 2011 Curt Casali assigned to West Michigan Whitecaps from Connecticut Tigers. July 2, 2011 Curt Casali assigned to Connecticut Tigers from Detroit Tigers. July 1, 2011 Detroit Tigers signed C Curt Casali.